What could be better than that feeling of sinking into a nice warm bath? I’ll tell you?—?sinking into a nice warm bath after a massage! This can help to allow your body to relax completely. We add some Epsom salts (magnesium sulphate) to the bath which will also help with easing any aches and pains. The magnesium in the Epsom salts will absorb through skin, while the warm water helps to open your blood vessels, therefore helping to increase circulation. This option is available to be added on to the end of your treatment when booking online or in reception and is highly recommended due to its many benefits. Our natural oil Thai Massage incorporates an acupressure therapy that blends deep tissue massage, gentle stretches and stimulation of acupressure points to instil a perfect balance of refreshment and relaxation. 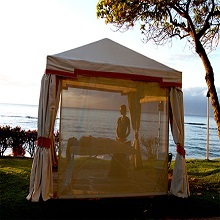 Traditional Thai Massage involves acupressure and stretching. It is performed on a special Thai mat while wearing loose fitting clothing. The Therapist uses a series of stretching techniques which are similar to yoga postures. It has been compared to doing yoga without the effort while receiving acupressure treatment. Specialised tailored massage, ideal for sports injuries with the aim of returning the body to optimum wellness and peak performance. Ideal for those detoxing or slimming. Using classic lymphatic massage techniques, your lymph nodes are stimulated to drain excess fluid and reduce toxins. Water retention is one of the biggest challenges to overcome when slimming ad this massage is the perfect solution to alleviate the effects of cellulite and the signs of bloating. 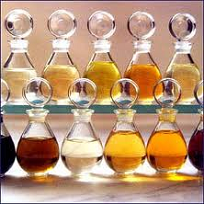 Using a blend of individually chosen oils, a personal consultation will ensure you will receive the treatment that suits your specific needs to promote specific beneficial changes in the mind and body. A classic treatment which represents the western standard for massage. The five main techniques used in Swedish massage are stroking and gliding, kneading, rubbing, tapping or pounding and vibration. Hot Stone massage is a speciality massage where the therapist uses smooth, heated stones as an extension of their own hands, or by placing them on the body. The heat can be both deeply relaxing and help warm up tight muscles, so the therapist can work more deeply, more quickly. Herbal compress is a common method of treatment employed in traditional Thai medicine. The hot herbal compress contains numerous herbs tightly bound in fabric which is steamed until piping hot and firmly rolled. After a full-body pressure point Thai massage, the hot herbal compress is pressed or pounded over the entire body in order to soothe muscle and stimulate the vital organs and senses. Our award-winning couple’s massage is a great way for you and your partner to bond while releasing the tension that can build up in your daily lives. Like all types of massage, our couple’s massage treatment is designed to help loosen your muscles, release the tension and promote an overall sense of wellbeing. Blissful type of massage involving two therapists working simultaneously, creating a choreographed massage. It is based on the theory that different parts of the feet, lower legs, hands, ears and face relate to different areas of the body. Therefore, by working these points it is believed that the treatment can help to maintain and restore health alongside conventional medicine. It involves massage, stretching and stimulating the reflex points using a wooden stick. 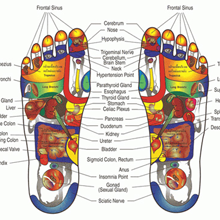 Based on elements of reflexology where each reflex point corresponds to the body’s internal, organs. This treatment is great for opening up blocked energy channels and promoting health and wellbeing. Hopi ear candling is the ultimate relaxation treatment. Helping to reduce the build-up of excess ear wax and alleviate pressure caused by headaches, cold and flu. This is an exfoliation treatment. 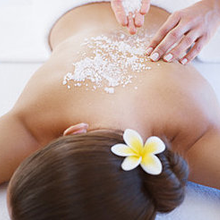 A nourishing sugar scrub with delicious aromas will be handpicked for you. This is a rich mixture of anti-oxidants to feed your skin. 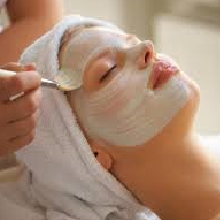 You will emerge feeling revitalised with smooth and well hydrated skin. This is a pre-holiday favourite A full body scrub to leave skin silky smooth followed by an application of smoothing moisturiser, leaves you with an all over glow. Don’t have time for a massage? Can’t make it to the Spa without battling rush hour traffic? Luckily, your favourite Spa Diamond massage therapist offers mobile massage sessions bringing massage right to you. In your home, workplace or even to a special event: Wedding, anniversary, celebrations and more!